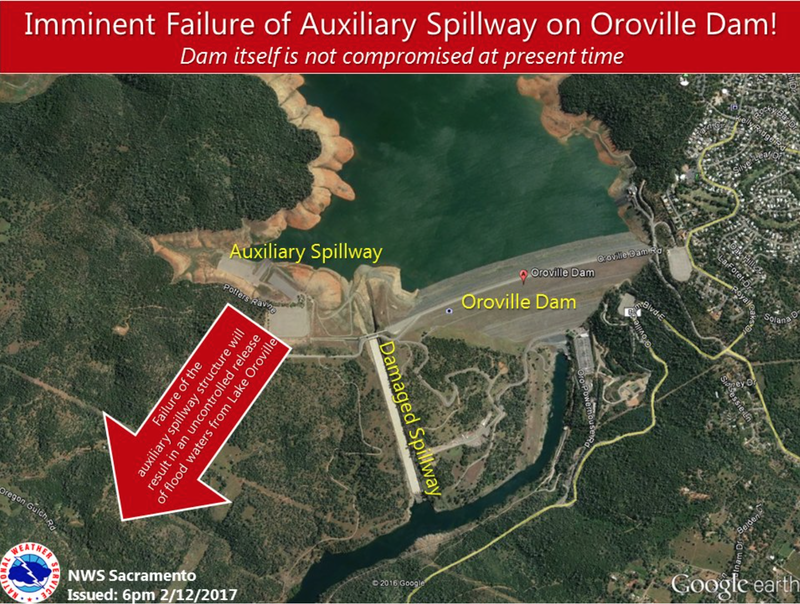 The auxiliary spillway on the Oroville Dam is likely to fail within the hour according to news reports. 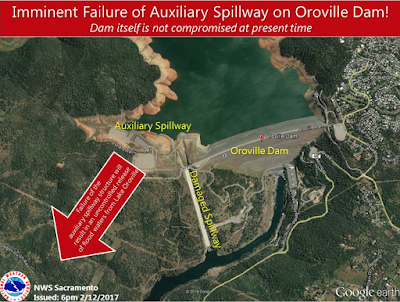 The town of Oroville, immediately downstream, is being evacuated on an emergency basis. Traffic is gridlocked just outside of town. 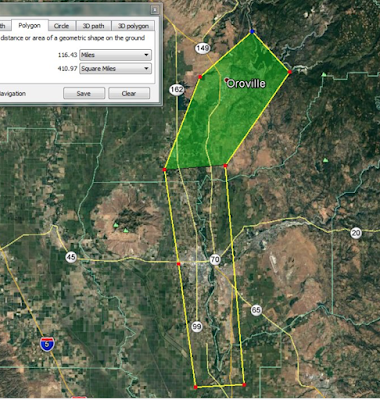 Evacuations are being conducted downstream in the river's flood plain. Here is a link to The Sacramento Bee's emergency coverage. 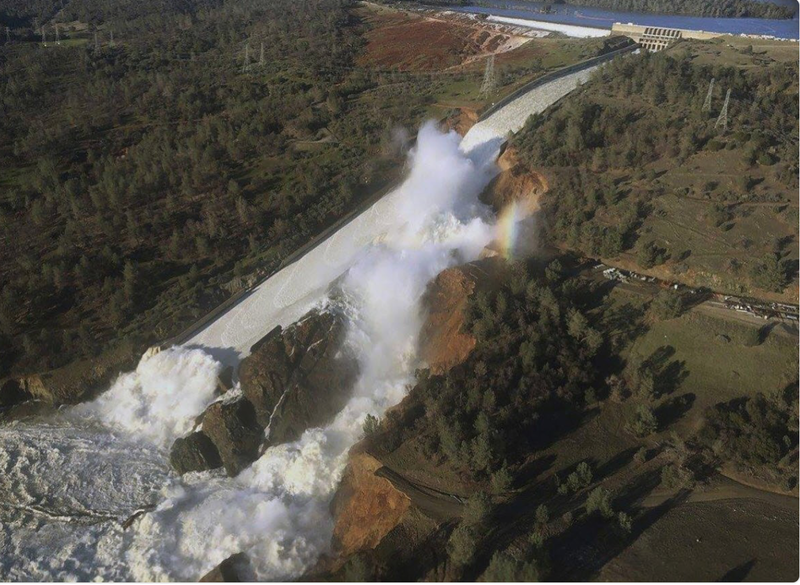 California Department of Water Resources has released this photo of the damaged spillway. UPDATE 6:59PM PST: If you need an inundation map, it is here. This is the last update on this situation. Please check the purple link above for updates.